What Service Does your Dog Need during the Wellness Exam? A complete physical exam to detect any obvious health issues and to provide the vet a baseline for future exams. A heartworm/lyme test. Most vets perform a 3DX or 4DX snap test to determine is your dog has a tick- or mosquito-borne disease. The 4DX test is to test for Heartworm disease, Lyme disease and Ehrlichiosis/Anaplasmosis. A blood test such as CBC for a basic chemical profile. This is especially helpful if your dog is a senior or if you suspect any underlying health issues. This test is called a Quantitative C6 and takes about 1 week for results. It actually quantifies the antibody level, or gives a specific number of antibodies. Based on this, we can determine if treatment is recommended. The Quantitative C6 also gives us a baseline for future monitoring, allowing us to determine if treatment was effective, or if it needs to be performed or redone in the future. The key point about this C6 quantitative test is that the level correlates with the level of circulating antigen-antibody complexes, which are the components thought to cause the dog significant pathology, such as life-threatening kidney disease. The C6 test is perfect for dogs and is only about $115. We also recommend a urine test to check for protein in the urine. This includes a full urinalysis and quantitative protein check if necessary. This is recommended as a screen for Lyme nephritis (kidney disease), especially in high risk breeds such as Labs, Golden Retrievers and Shelties. This test is about $55 and is recommended by TreeHousePuppies. This test also provides other valuable information on general health. Heartworm preventive pills (only available from your vet or by prescription). Generally Interceptor is recommended over Heartguard as it’s safer for Collie and Australian Shepherd breeds and it has a reach-back effect of up to 4 months. If you’re worried about lyme disease, see the articles on Lyme Disease in this blog or look for a certified veterinarian that works near you location to help save your pet. For the ones interested in saving animals like in this case you can look for special courses, volunteering or even getting in the veterinarian career with the help of a scholarship by checking the vet school rankings in education and look for the right one for you. 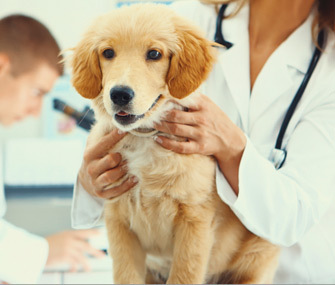 Before allowing your vet to administer any vaccines, be sure to read the other blogs on this Web site. Certain vaccines have adverse side effects that you may not see for a few months, but vets only consider it an adverse reaction if it happens within a day or so. My advice is to avoid bordetella, lyme, and lepto vaccines in general as all can lead to chronic disease.